Winston Graham is one of my many favourite authors. I first encountered him with the paperback Marnie (1961), and then discovered his Poldark novels (the first published in 1945). Side by side with these, I read a number of his suspense and historical novels, too. The Japanese Girl (1971) seems to be his only collection of short stories; their publication dates range from 1947 to 1971, though there is no indication when each individual tale was published. The narrator works as an assistant cashier for a big London dock firm. Boring job, a boring life, really. He engineered another chance meeting with the Japanese girl and invited her to join him for a drink in a ‘quite nice pub… She didn’t say no, and that’s how it all began’ (p12) He embarked on an affair with Yodi, the Japanese girl. As time went on, they dreamed of running away together, travelling abroad. But for that they needed plenty of money. He decided to rob the firm, small sums each week, to build up a nest-egg. She agrees to help him. Inevitably, it doesn’t quite work out. ‘The Medici Ear-ring’ is another first-person story, with the narrator being an impecunious painter. One of his models was Lucille, who ‘had the colouring I like: autumn-tinted hair and short-sighted sleepy eyes with umber depths to them.’ Lucille was the daughter of a friend, Bob who enjoyed showing off an ancient ear-ring his family had acquired. Then, one night, during a card game of chance where money was lost, the ear-ring goes missing. The mystery tried the friendship of all those present. A twist ending; possibly an early foray into the realm of the unreliable narrator concept. ‘Cotty’s Cove’ is set in Cornwall, possibly in the Poldark period. Lavinia Cotty was a 35-year-old spinster. When she could get away from caring for her ailing father, she’d spend time in the quite cove and dream of poetry and a little fiction – until she discovered a man washed up on the shingle. An atmospheric tale about unrequited love. The cove can be found on any large-scale map of Perranporth beach, just south of Wheal Vlow adit. ‘At the Chalet Lartrec’ comes of ‘being benighted on the Bernina Pass in the first snow of winter’, Graham says. The narrator, Major Vane, a British officer attached to UNESCO found himself caught in a snow-storm. ‘The clouds were lowering all around like elephants’ bellies…’ (p99) He had to get out often so he could clear the windscreen: ‘The snow was soft in my face, like walking into a flight of cold wet moths…’ (p100) He creates eeriness with few words: ‘There was no one about, and the wind whistled through the slit between the houses like an errand boy with bad teeth.’ (p100) He obtains shelter at the chalet Lartrec, where he learns of his host’s recent past in the uprising of Hungary in 1956. Another fine twist in this tale, too. ‘The Cornish Farm’ is about a property the narrator and his wife purchase. There is talk of a violent history in the farm’s recent past. This too has plenty of atmosphere, as well as humour: ‘… it depressed me to discover the squalor in which so many people live. Or perhaps it is only people who want to sell their houses who live that way. It also depressed me to discover the wickedness of estate agents. After a time one gets tired of being shown into the “well-equipped” kitchen to find it dominated by an enormous stove installed about the year of Gladstone’s wedding and smoking from every crack; then, coughing heartily and with eyes smarting, to be led through a broken glass door into the “conservatory” which in fact is a lean-to shed with a little stove of its own where all the real cooking is done…’ (p125) A tale of mystery and perhaps madness; the reader must decide. ‘The Basket Chair’ is a ghost story – or is it? Julian Whiteleaf had his first coronary when he was staying with his niece Agnes and her husband Roy Paynter. He was careful with his money, despite having been bequeathed a vast sum by one of his psychic society’s patrons. Now, he agreed the couple could look after him and he would pay £5 per week towards his keep. Over time, he noticed strange sounds in the house. The basket chair in his bedroom seemed to move of its own volition and creak ever so slightly; he was convinced he was finally witnessing a psychic event… A clever tale in the Roald Dahl tradition. ‘Jacka’s Fight’ concerns Jacka Fawle who moved from Helston in Cornwall to find his fortune in America; when he had done so, he would send for his wife and children. He was a godly man and scrimped and saved to this end. One day in the early 1890s he made friends with a number of Cornishmen who were promoting a fellow in the boxing ring. Temptation is offered, to make a killing… The culmination of the story is the five pages of the big fight: the upstart contender Fitz against the champion Corbett. The telling is as bruising as the fight itself, full of tension: ‘In the fifth round it appears as if Fitz is done. His lips are swollen, the eye half closed, his nose bleeding, his body crimson all over, part with the blows it has received, part from the blood on Corbett’s gloves…’ (p203) An excellent pugilistic tale. Finally, there’s ‘But for the Grace of God’, a tale of the Christ just before and after the crucifixion, movingly told by the irreverent yet finally enlightened Jesus Bar-Abbas. At the book’s publication, the Sunday Times said, ‘Real versatility in setting and background.’ That sums up this collection. If you appreciate short story writing, you should enjoy many of these examples. [Coincidence: my birthday is the same as his; he was born forty years earlier. He died in 2003, aged 95]. 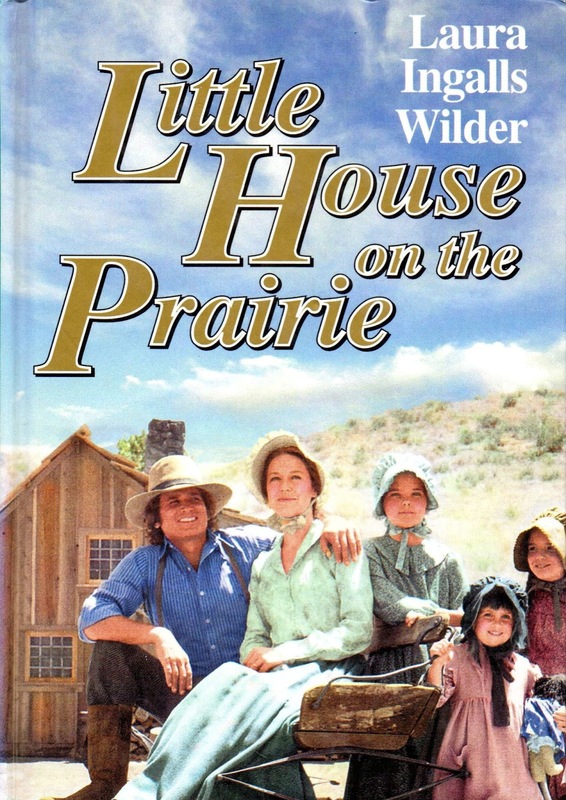 Laura Ingalls Wilder’s classic autobiographical children's novel (1935) has been in print since its first publication and it’s not difficult to see why. It is a simply told enchanting depiction of a time lost as seen through the eyes of a child, though revealed in the third person some sixty-odd years after the events depicted. Note: I've read a number of reviewers who feel uncomfortable with some of the material in this book, even declaring it racist. I would suggest that if they bring their present-day consciences (and prejudices) to bear on a book written of its time, either leave their political correctness at the front cover or don't bother to read any 19th and early twentieth century literature. Their stay in the log cabin only amounted to about a year. Pa had wanderlust, and had heard that the army was intent on moving settlers east, over the territory border, since they’d mistakenly settled in Osage reservation land. So Pa upped sticks, left behind all that hard work, and lit out in the wagon with his family to Minnesota. A poignant tale, possibly idealised, but well told. Other authors have added to the series. The TV series starring Michael Landon (1936-1991) ran from 1974 to 1982. 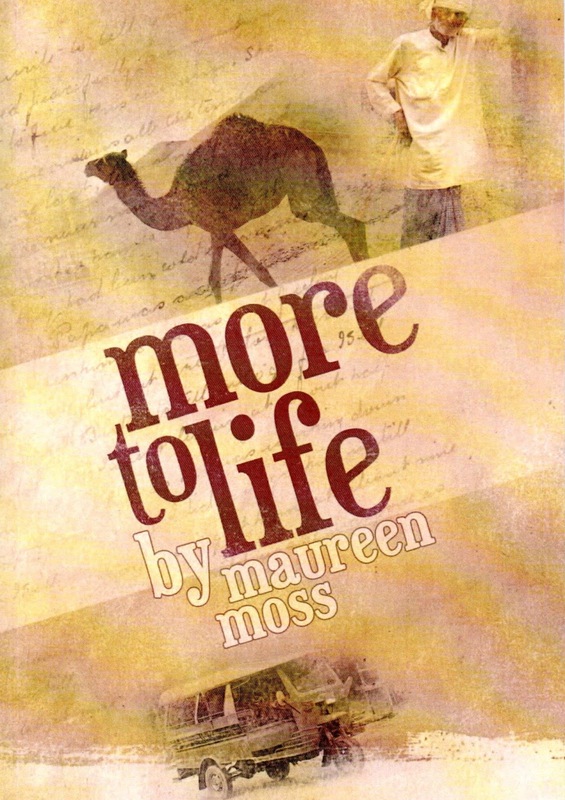 The fictionalised travel memoir More to Life (2017), 'based on real events', is by Maureen Moss, an inveterate globetrotter. It is at turns illuminating, poignant and amusing. Approaching her fiftieth year, suffering the trauma of divorce, loss of job and sale of house, Rachael Green decides to ‘find herself’ by travelling to the Far East. Small snag: she has three children, two of them teenagers. It’s agreed she’ll take Conrad and Sara, leaving the youngest Sophie with her ex. Sophie can join them at the tail-end of their jaunt in Australia. Simple, really. Brave. Or possibly foolhardy. These events take place in 1997; it might be riskier attempting this kind of journey these days. There are plenty of amusing interludes to lighten the mood, such as travelling in a railway compartment designed for six people yet accommodating fifteen, some of whom used the luggage racks as extra seating. Did Rachael ‘find herself’? You’ll need to read this always entertaining, colourful and thought-provoking book to find out. At the very least she proved that there’s more to life than feeling sorry for yourself. Highly recommended. A shorter version of this review will appear on Amazon. Lesley Ann Sharrock – R.I.P. I was shocked and saddened to learn of the unexpected and sudden death of Lesley on April 17. This is an intriguing novel that should appeal to many, especially expats. The basic question raised is: Can one woman – genetically linked to a time of witch burnings and religious persecution – prevent a devastating global war between conflicting ideologies in the near future? The answer isn’t simple, however. Three women hold the key. In the year 1624, in Wales, Mair Griffiths is executed for witchcraft. While in 2060, Jeena H Roberts commands a top-secret mission using experimental technology. This is an attempt to capture the perpetrators of the outrage that acted as a catalyst for a war that has thrust the world into flames. And in 1986 the adopted Helen Ross travels to Wales in search of her birth family. But what she discovers in the ancient stones of that land of magic and melancholy is far more ominous than she could have ever imagined… And on her journey, we travel to her family’s past in the post-war years, the 1950s and 1977, poignantly recalled with insight and heart. This is one of those books that will linger in your memory long after you’ve finished it. And I feel that the depth of story and character will also reward you so that, by the time you turn that last page, you will have lived much of the life of Helen Ross. Spookily, Helen Ross was one of my pen-names for articles and short fiction! 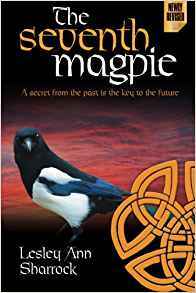 There are autobiographical elements in The Seventh Magpie. Lesley was an adopted child and I could empathise with her since my wife and I were also adopted. She says she was inspired to write this novel in response to her own journey of discovery. These parts of the book are particularly poignant. She was born in Strawberry Field children’s home in Liverpool; it no longer exists. She was raised in Kirkby and subsequently lived there for twenty years before moving to London. 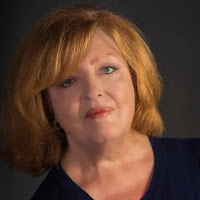 She studied English and drama and worked as a freelance writer, her articles appearing in Cosmopolitan, Marie Clare, Red, Bite, Forum, and Time Out among others before she established Moondance Media, a magazine publishing company. Her dark and compelling short story Mrs Webster’s Obsession was turned into a film. Eventually, she moved to Jàvea in Spain: all these places figured in her first novel. Her second crime novel The Serial Killer’s Daughter will be published in June 2017 by Bookouture. She had completed a third and was doing a final edit. Recently, she adopted a stray cat that had been trapped down a hole for some time. She named him Ace, after the Kirk Douglas film Ace in the Hole, and kept her FB friends apprised of his health and amused by his antics. Lesley was a strong character with lashings of humour and her passing has left a hole in many lives. 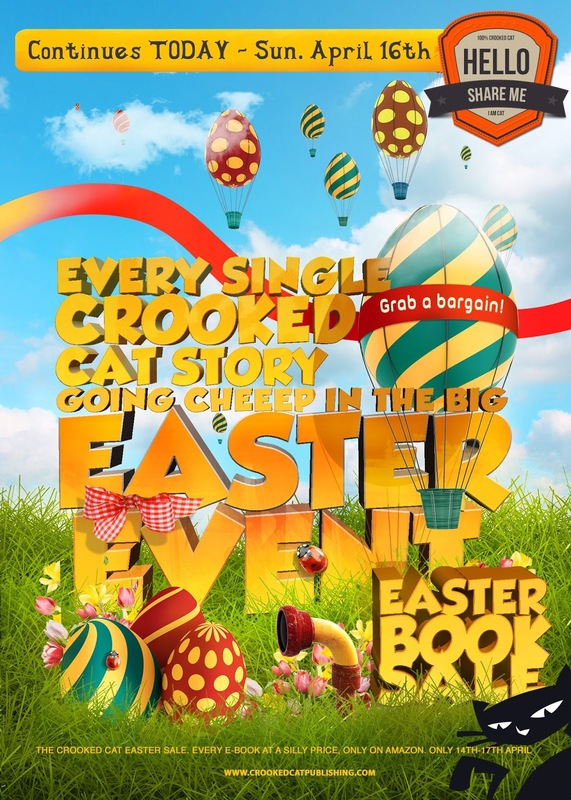 A great selection of Crooked Cat books on Amazon going for FREE or vastly reduced price! 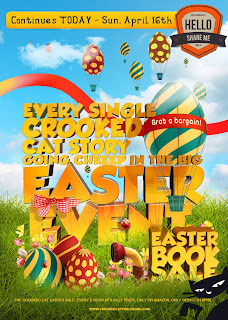 If you haven't tried their crime, romance, paranormal, mainstream, mystery and horror titles, now is the time to indulge yourself! Reading E.C. 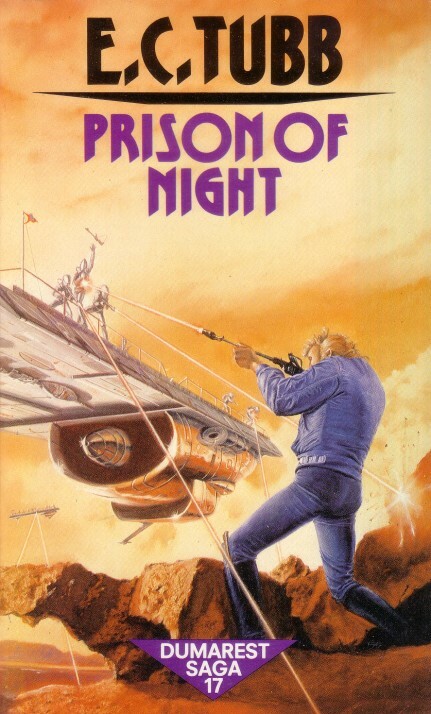 Tubb’s long-running science fiction saga, I have reached the halfway point with volumes 16 and 17 in the 33-book series. While each story is a self-contained adventure, these two books are continuous in theme, characters and environment, so I read them back-to-back. The Dumarest novels are set in a far future galactic culture that spread to many worlds. Earl Dumarest was born on Earth, but had stowed away on a spaceship when he was a young boy and was discovered. Although a stowaway apprehended on a spaceship was typically ejected into space, the captain took pity on the lad and allowed him to work his passage on the ship. By the time of the first volume, The Winds of Gath, Dumarest has traveled so long and so far that he does not know how to return to his home planet; and in fact nobody has ever heard of it, except as a myth or a legend. It’s clear to him that someone or something has deliberately concealed Earth's location. The Cyclan, an organization of humans (cybers surgically altered to be emotionless, who on occasion can link with the brains of previously living Cyclans, in the manner of a hive mind process, seem determined to prevent him finding Earth. The cybers can call on the ability to calculate the outcome of an event and accurately predict results. An additional incentive for the Cyclan to capture Dumarest is that he possesses a potent scientific discovery, stolen from them and passed to him by a dying thief, which would inordinately amplify their already considerable power and enable them to dominate the human species. Also appearing in the books is the humanitarian Church of Universal Brotherhood, whose monks roam many worlds, notably every planet where there is war. All these books reveal imaginative situations, fantastic colourful civilisations and a vast array of characters. 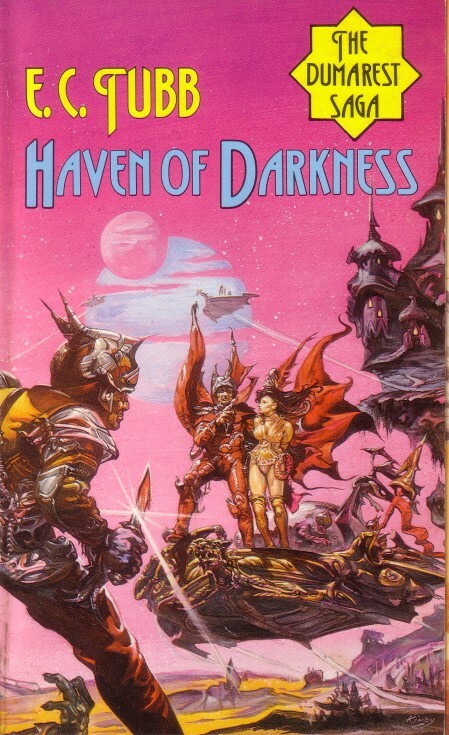 Haven of Darkness (#16)(1977) introduces us to the planet of Zakym, where the spectres of the dead appear at the time of delusia, when the twin suns attain close proximity in the heavens. On Zakym the beautiful Lavinia is not only haunted by ghosts, she is being courted by an unsavoury power-crazed noble, Gydapen. Into this world arrives Dumarest, cleverly escaping capture by a Cyclan agent. Here, he learns that the human inhabitants stay indoors at night; a curfew is enforced. Anyone caught outside at night falls prey to the Sungari, the original seemingly mythical yet deadly inhabitants of the world. Dumarest earns the love of Lavinia to the chagrin of her suitor and, to avoid a civil war, he has to face Gydapen in a tension-filled showdown. A greater threat to Zakym and Lavinia has emerged, and it is only through Dumarest’s bravery and insight that the danger can be averted. It would also mean confrontation with a powerful manipulative cyber. A tense, fast-paced finale. 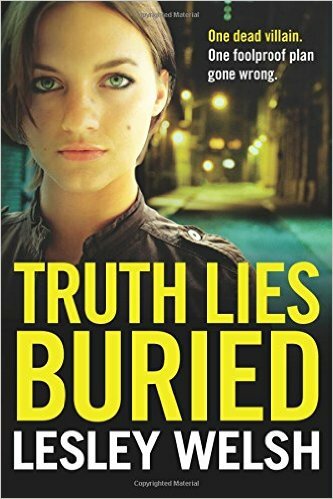 After seventeen books, Tubb has remained consistently entertaining. I will surely continue with the saga.